3) Try to pull the sword from the stone. 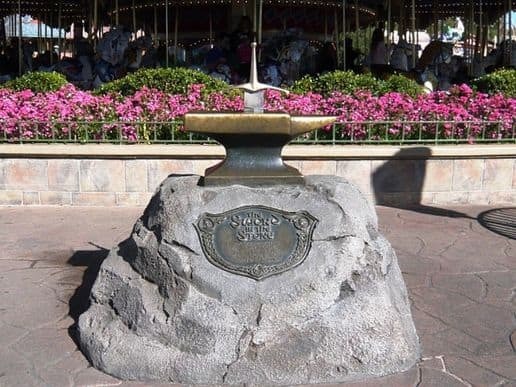 At Magic Kingdom, near Prince Charming’s Regal Carrousel, you and your family can try your hand at pulling the sword from the stone, like Arthur did in Disney’s The Sword in the Stone. Whether you can do it or not isn’t important. It’s the family experience in trying something together. If you have little boys, this is a favorite. Hey, my 16 year-old son loves to try!